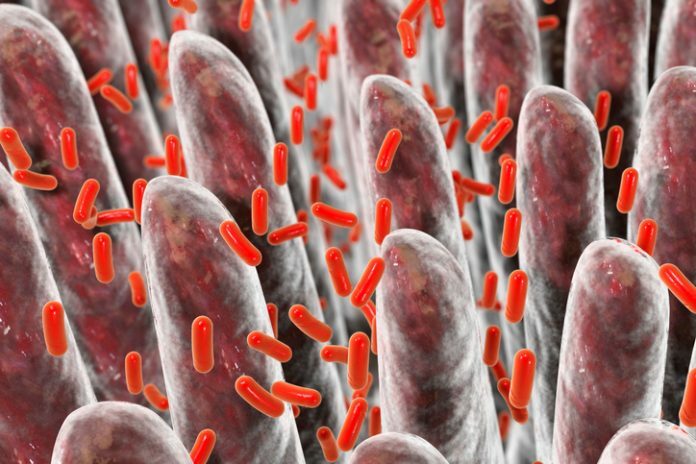 Understanding the appropriate balance of “good” bacteria within the intestinal tract has been the focus of much ongoing research for a number of years. Links between gut dysbiosis and the onset of disease are continually being established with the hope that therapeutic interventions may be developed soon to halt disease progression. Now, investigators at the NYU School of Medicine, Perlmutter Cancer Center, and NYU College of Dentistry have just released data that describes how a population of bacteria in the pancreas increases more than a thousand-fold in patients with pancreatic cancer—becoming dominated by species that prevent the immune system from attacking tumor cells. Findings from the new study—published today in Cancer Discovery in an article entitled “The Pancreatic Cancer Microbiome Promotes Oncogenesis by Induction of Innate and Adaptive Immune Suppression”—showed that removing bacteria from the gut and pancreas by treating mice with antibiotics slowed cancer growth and reprogrammed immune cells to again “take notice” of cancer cells. Amazingly, the researchers found that oral antibiotics also increased roughly threefold the efficacy of checkpoint inhibitors, a form of immunotherapy that had previously failed in pancreatic cancer clinical trials, to bring about a strong antitumor shift in immunity. “While combinations of changes in genes like KRAS cause cells to grow abnormally and form pancreatic tumors, our study shows that bacteria change the immune environment around cancer cells to let them grow faster in some patients than others, despite their having the same genetics,” explained senior study investigator George Miller, M.D., co-leader of the Tumor Immunology Research Program at Perlmutter and professor in the department of surgery, and of cell biology at NYU Langone Health. The research team found that in patients with pancreatic ductal adenocarcinoma (PDA)—a form of cancer that is usually fatal within two years—pathogenic gut bacteria migrate to the pancreas through the pancreatic duct, a tube that normally drains digestive juices from the pancreas into the intestines. Once in the pancreas, this abnormal microbiome gives off cellular components that shut down the immune system to promote cancer growth. The research team hypothesized that changes in the genes that cause abnormal cell growth in the pancreas might also change the immune response in ways that favor the growth of different bacterial species that are found in normal individuals. However, the authors also concede that environmental factors like diet, other diseases, or common medications might cause bacterial changes in the gut that are reflected in the pancreatic microbiome. Whatever the cause, the new study found that bacteria that are more abundant in pancreatic cancers—including species of proteobacteria, actinobacteria, and fusobacteria—release cell membrane components (e.g., lipopolysaccharides) and proteins (e.g., flagellins) that shift macrophages into immune suppression. Interestingly, the NYU team showed that eliminating bacteria using antibiotics restored the ability of immune cells to recognize cancer cells, slowed pancreatic tumor growth, and reduced the number of cancer cells present (tumor burden) by 50% in study mice. The researchers found that “bad” bacteria in pancreas tumors trigger immune cell checkpoints—sensors on immune cells that turn them off when they receive the right signal. These checkpoints normally function to prevent the immune system from attacking the body's own cells, but cancer cells hijack checkpoints to turn off immune responses that would otherwise destroy them. Checkpoint inhibitors are therapeutic antibodies that shut down checkpoint proteins to make tumors “visible” again to the immune system. The research team is looking forward to continuing their research. As a next step, the scientists plan to begin recruiting patients into a clinical trial at Perlmutter Cancer Center to test whether a combination of antibiotics (ciprofloxacin and metronidazole) can improve the effectiveness of a checkpoint inhibitor (programmed cell death protein 1, or PD-1, antibody) in PDA patients.